This plugin requires Craft CMS 3.0.0-RC11 or later. In the Control Panel, go to Settings → Plugins and click the “Install” button for MailChimp Lists. You will be required to supply a MailChimp API key which is used to source the relevant data center and authenticate requests. Your API key is available here. A MailChimp account is required, if you don't already have one click here to create one. 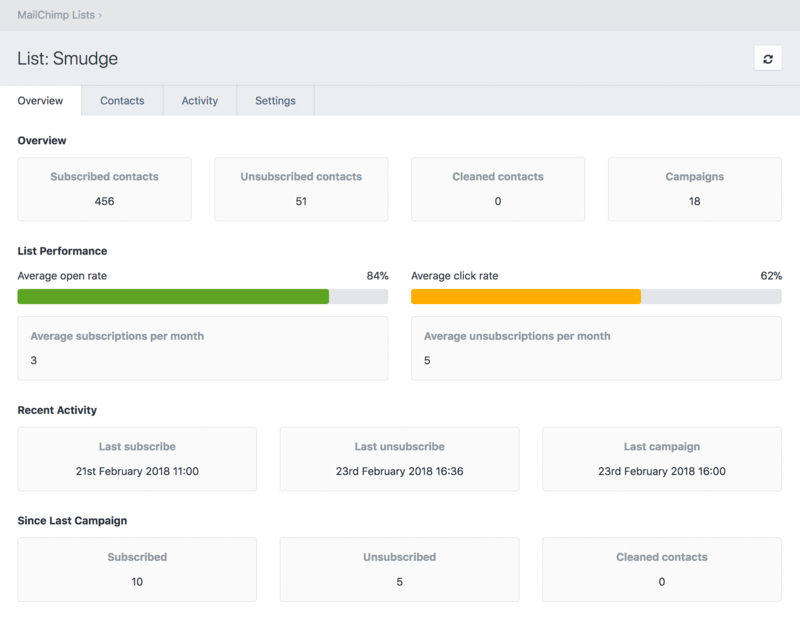 Once you have provided the plugin with your MailChimp API key you will be able to create, manage and monitor your lists directly from within Craft. interests No No The name of this field is the ID of the interest in question. The above field names are case-sensitive. If you have a redirect hidden input, the user will be redirected to it upon successful submission. This must also be a hashed value. "reason": "cURL error 6: Could not resolve host: us17.api.mailchimp.co.uk (see http://curl.haxx.se/libcurl/c/libcurl-errors.html)"
If you create a config file in your config folder called mailchimp-lists.php, you can override the plugin’s settings in the Control Panel. Since that config file is fully multi-environment aware, this is a handy way to have different settings across multiple environments.